They can be seen at every event. Usually clad in brightly colored clothing and mud with a huge smile on their face. No, not racers. I am talking about the amazing volunteers that donate their time at each race to help make everyone’s experience a little bit better. You can talk to any race director around the world and ask them why volunteers are so important and they will likely say something to the effect of “we can’t run our event without them”. This isn’t lip service, either. This is genuine respect and gratitude. As racers, I believe we have a responsibility to donate at least some of our time during the busy race season to volunteering at any race. And I am going to give you four big reasons why you should consider helping out in 2019. There are some amazing perks out there if you volunteer for a race. Okay, this isn’t the reason you should be volunteering. But for many, this is what may tip the scales between volunteering and staying home. Most events will do everything in their power to bring out people to assist them throughout the day so they can focus on the behind the scenes tasks that help races go off smoothly. Each company is different, but you are not likely to go home empty-handed. At the very least, you should be able to keep your branded volunteer shirt as a thank you for your time. Companies also make sure their volunteers are fed, so you don’t even have to worry about packing a lunch or bringing spending money (unless you want it for merch or beer afterward). A number of larger companies have even been offering free race entries to future events or a special volunteer wave during the event where you are volunteering. So if you are racing on a budget this is a great way to both give back and save some money in the process. You have a direct impact on the race experience. Have you ever been a racer at an event where you saw someone with a half-filled bucket get to move on without consequence? On the other hand, have you been at a challenging part of the course where the volunteer seems more interested in their phone or chatting with their partner? What about arriving at an obstacle that you have never done and there was no volunteer in sight? We have all been that racer at some point, and I am confident in saying it made you feel frustrated or annoyed. While races cannot survive without volunteers, volunteers themselves also have a responsibility to do the best they can while they are on course. That is why it is especially important for experienced competitors to donate their time at events to help make sure people are getting the kind of experience you would want when it is your turn to race. This does not mean taking it upon yourself to deal out OCR justice as you see fit. This means simply being fair and consistent with the rules and following whatever direction the race staff has given you. It also helps to shout out the expectation as people are arriving at your obstacle. It gets rid of any confusion and makes the event go just that much smoother. Just having a positive attitude goes a long way in making everyone’s experience better. Give people motivation to keep on running or to push through a particularly challenging part of the course and I promise they will remember that moment you helped them accomplish something. Plus, with how difficult these races can be it helps just to see a smiling face who wants us to do well. As racers, we know what we need at any given point in a race. Be what you would need if you were the racer. If you are reading this, you have tried to convince a friend to race with you at some point. More often than not, we receive the traditional “you’re crazy” or “I can’t do that” response because they likely have no idea what to expect. So rather than throwing your friend in the deep end to sink or swim, give them an opportunity to experience a race before they try it out for themselves. It will help them to learn what the rules are, what to expect and to see what that OCR is not as scary as people may think. To tie this in with the first point of this article, they may even get their first race free depending what company you volunteer for. If you have a friend on the fence, this should give them every opportunity to experience the sport risk-free before making any sort of commitment. As much as we pride ourselves on pushing ourselves to our limits at each race, we, unfortunately, will go a little too far and get hurt occasionally. No one wants to get hurt, but it is just a risk of the sport that we sign up for when we click “I Accept” on the waiver. However, being hurt does not mean you have to miss the season completely. Most races will be able to put everyone to work, healthy or hurt. 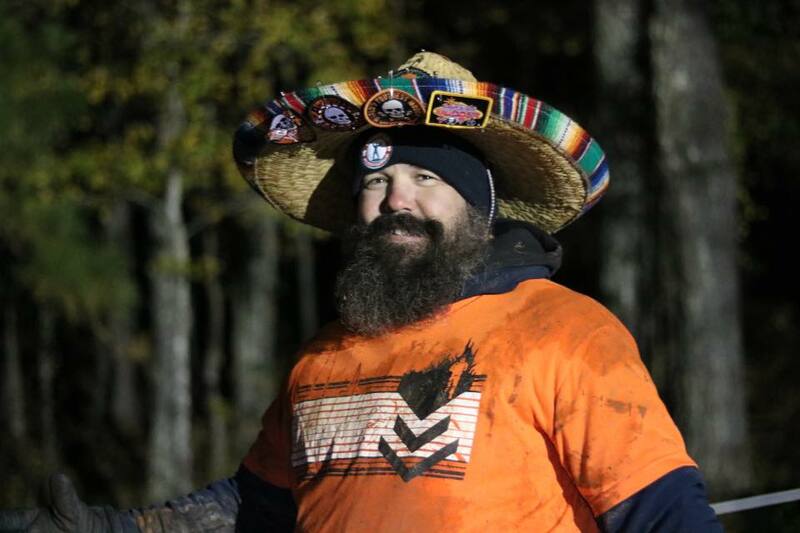 While we all want to volunteer at an obstacle and cheer competitors on all day, event organizers need people to help out in other areas like registration and water stations. They are just as important because, once again, without volunteers, the race could not happen. It also gives you the opportunity to see your race friends you otherwise would not when you stay at home wishing you were able to compete with them. Bonus Reason: Because it is the right thing to do and it is fun! As I alluded to earlier, I believe that we have a responsibility to give back to the racing community once in a while. Although the sport is gaining momentum around the globe, we are still a grassroots movement that is growing each year. More and more people are coming into the sport which is a trend that we all want to continue. In order for this to happen, we need to continue to build on the positive image we have created for ourselves and help to welcome more and more rookies into the race family. By being on the front lines and being that first contact with the community, we have the opportunity to help keep these people in the sport. I promise if you engage with this responsibility and commit 100% to the role when you do, you are going to have a lot of fun and make a lot of memories while doing so.